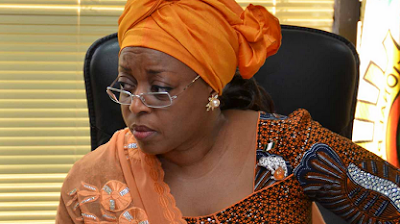 Justice Mojisola Olatoregun of the Lagos Division of the Federal High Court has granted a request by the Economic and Financial Crimes Commission for the temporary forfeiture two properties allegedly belonging to Diezani Alison-Madueke, the former Petroleum Minister. The properties, valued at $4.7 million include Penthouse 21 building 5, Block C, 11th floor (Bella Vista Estate) Banana Island, Ikoyi, and Penthouse 22, Block B (Admiralty Estate) also in Ikoyi, Lagos. The judge ruled that the properties be forfeited to the Federal Government pending the conclusion of EFCC’s investigation into the ownership of the properties which it reasonably believes were procured with proceeds of crime.